The Governing Body of St Edmund’s College, Cambridge, is seeking to elect a new Master to succeed Mr Matthew Bullock, who retires from the post on 30 September 2019. St Edmund’s College is a graduate college in the University of Cambridge with an international community of fellows, visiting academics and postgraduate students as well as mature students studying as undergraduates. It has a reputation for scholarship, cultural vitality, friendliness and informality. The successful candidate will be an individual of good judgement and integrity with a distinguished record of achievement in their academic or professional life, who will command the intellectual respect of the Fellowship. He or she will play a leading role in the governance of the College and in progressing its longer-term strategy. It is anticipated that the post will be a part-time position, although flexibility exists to agree the relevant time percentage by negotiation. The post will carry the corresponding proportion of a University professorial stipend, which is pensionable. The appointment will be for a period of up to ten years. 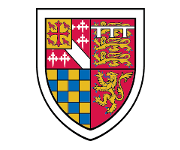 Applications (comprising a letter and curriculum vitae) and all enquiries should be addressed to the Vice-Master, St Edmund’s College, Cambridge CB3 0BN; or by e-mail to: vice-master@st-edmunds.cam.ac.uk. Applications should arrive no later than Sunday 30 September 2018. Interviews are likely to be held on 23 or 24 January 2019. The Governing Body reserves the right to consider names other than those obtained via this notice.